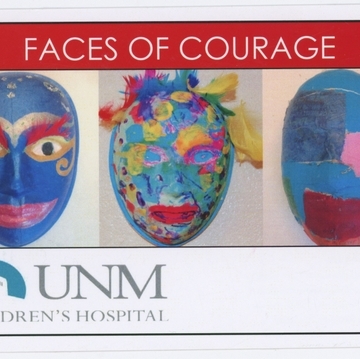 An exhibition of masks created by pediatric patients and their families last year as part of UNM Children's Hospital's Child Life Program are on display at UNM Hospital. The exhibit, “Faces of Courage,” will run Jan. 31–March 28 at the Jonathan Abrams Art Gallery, located on the hospital's fifth floor. “This exhibition illustrates the wonderful healing power of art in a clinical setting,” said Chris Fenton, director of the UNM Health Sciences Center's art collection. As participants in the project, hospitalized children and their families created masks to express the many emotions associated with illness and their healthcare experiences. Personal mask making has a long tradition and, historically, many societies have viewed the mask as a sacred object, Fenton said. “It is a process that empowers patients to gain control of their world. It was a project that allowed patient to express emotions in a positive and productive way,” she said. 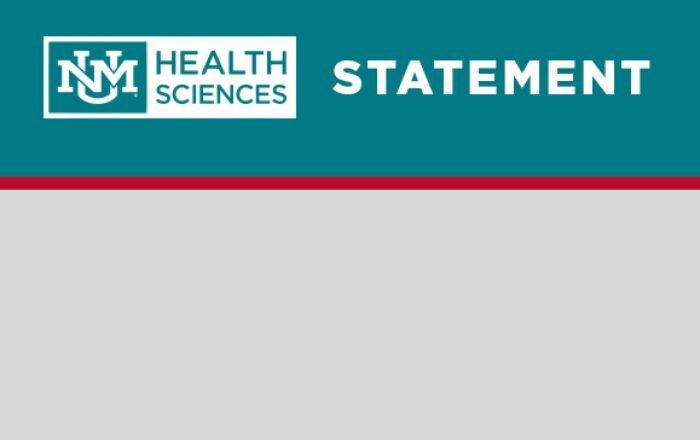 The masks were first displayed at the University of New Mexico's Robert Wood Johnson Center for Health Policy. A key mission of the Child Life Program at UNM Children's Hospitals, is to normalize the hospital environment for children and their families through fun, age-appropriate activities, including art projects. For more information on the Jonathan Abrams Art Gallery, please call Chris Fenton at 505-272-9700.